kills fleas, ticks, and lice and prevents flea eggs from hatching for 30 days. 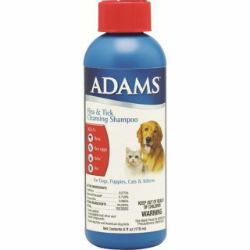 Kills fleas, flea eggs, ticks, and lice. Breaks the flea life cycle.